In the past I have been a bit too lazy, when it comes to baking. If a recipe needed pastry I would have bought it. This time though I thought I would give it a crack, and boy am I glad I did! It was surprisingly a lot easier than I thought it would be, and they tasted delicious (if I’m allowed to say so). They were so fun and satisfying to make I’ve already made another batch. 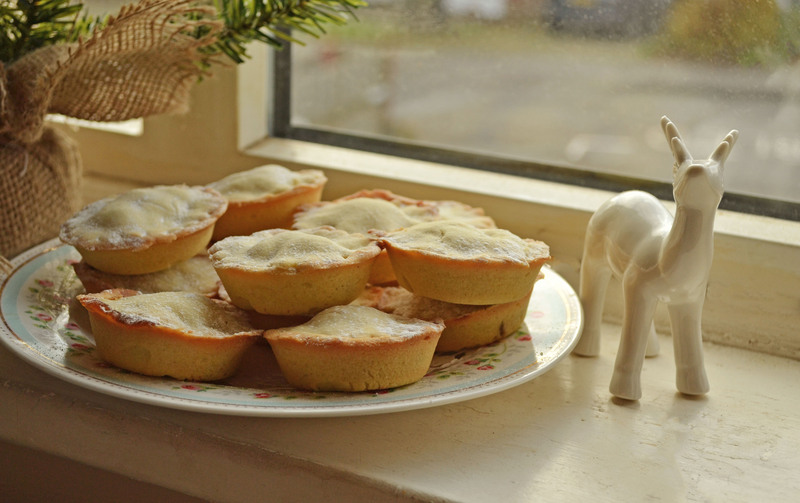 You can’t beat the smell of mince pies baking throughout the flat, very Christmassy and left me feeling very festive. What surprised both me and hub was how lovely the pastry was. I said to him I would hold on to the recipe till the day I die! I will however share the recipe with you dear readers. What I didn’t know is that you can use icing sugar, and I’m guessing this is what made them almost crispy tasting, if that is the right word. 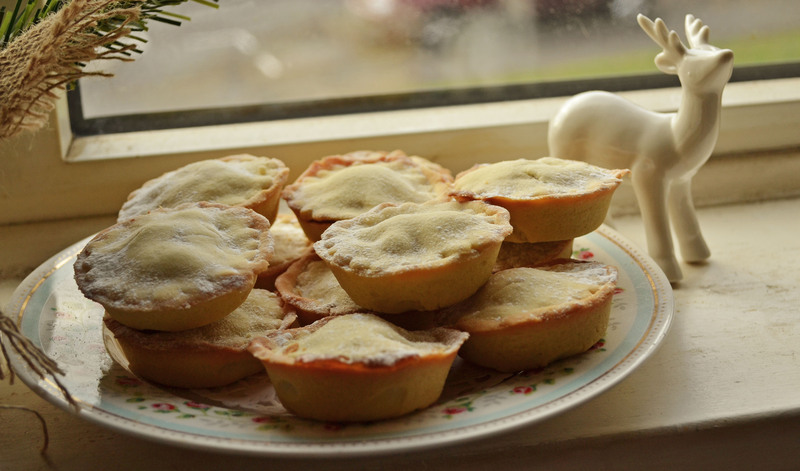 I’m certainly not scared of pastry anymore and will be having a go at more recipes. I will though still be buying puff and filo pastry. One thing at a time hey? Preheat oven to 200C/ 180C fan. Grease a 12 hole mini muffin tin. In a large bowl cream together the butter and icing sugar until pale and fluffy. Beat in the egg and a tablespoon of flour (to prevent curdling) until fully incorporated. Add in the flour and bring the mixture together until evenly combined. Lightly knead the mix and turn out onto a floured surface. If it’s very warm in your kitchen you may need to let the pastry rest in the fridge for 20minutes. Roll pastry as thin as possible about 0.3cm. Using a round pastry cutter cut out 12 circles. Gently press into tin, using little scraps to cover up any hole. 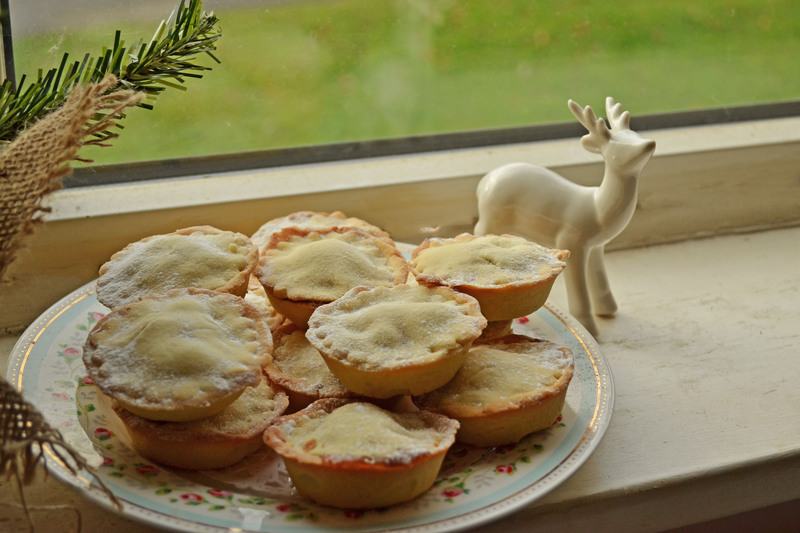 Spoon about 1 tablespoon of mincemeat into each pastry, be careful not to overfill. Using a smaller round pastry cut out 12 smaller circles. I used the fluted end for a bit of decoration. Place the smaller on top of the pie cases and gently press down to seal the edges. Sprinkle a little caster sugar over the tops. Place in the oven for about 15-20 minutes or until the pastry is a light golden brown. Leave to cool in the tin for a few minutes before turning onto a wire rack to cool completely. One of the things I wish had transferred from Europe to America is baking more meat into pies.